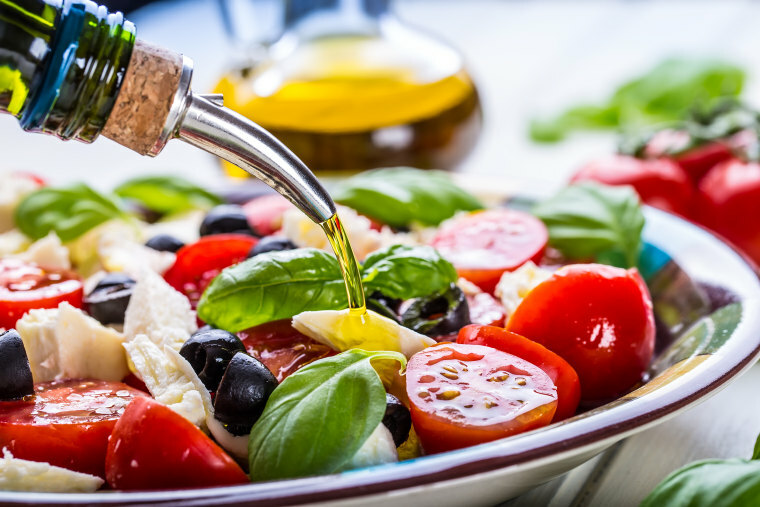 Put down the bacon and pick up the olive oil: Mediterranean diets can significantly reduce the risk of heart disease, a new study confirms. According to a study published Friday in JAMA Network Open, people who followed this type of diet had a 25 percent less risk of developing cardiovascular disease over the course of 12 years. Since the 1950s, researchers have pointed out this diet’s possible cardiovascular benefits. More recently, it has been credited with addressing any number of ills, including Alzheimer’s disease and asthma, and with helping pregnant women control factors that lead to high-birth-weight babies and contribute to obesity risk factors as kids grow. Inflammation was the issue for Meg Grigoletti, a 23-year-old graduate student from New Jersey who switched to a Mediterranean diet when she was recovering from back surgery in 2014. Her doctors recommended it to reduce swelling, hoping that it would ease the pain in her back and help her migraines. There were three levels. People who scored between zero and 3 were on the low end, 4 to 5 was in the middle and 6 and up was categorized as a high intake of Mediterranean diet foods. When all was said and done, those in the middle category saw a 23 percent reduction in risk, and the upper category had a 28 percent lower risk of cardiovascular disease. Heart disease is the leading cause of death for both men and women, according to the Centers for Disease Control and Prevention, claiming about 600,000 lives each year. Coronary heart disease is the most common form, killing more than 370,000 people annually. Each year, about 735,000 Americans have a heart attack. The results of the study weren’t a shock to Dr. Andrew Freeman, the director of cardiovascular prevention and wellness at National Jewish Health hospital in Denver. He wasn’t involved in the study but has been recommending a Mediterranean diet, or a similar version that emphasizes vegetables and fruit, to his patients for years. He also acknowledged that a lot of competing nutritional information swirls around the airwaves and the internet, which amounts to “a whole lot of hype” and makes healthy eating habits a difficult regimen for many consumers.